Hooked on Needles: eat. play. sleep. repeat. quilt finally finished! Instead of laying out the words as in the Moda Bake Shop design for this quilt, I decided to put them around the edges and leave the middle empty. I also printed my own letters using a different font which I liked better, and I made them larger than the original pattern. The only thing I might do differently if I were to make this again would be to center the words on each side since 'eat' is so short and 'repeat' is so long. 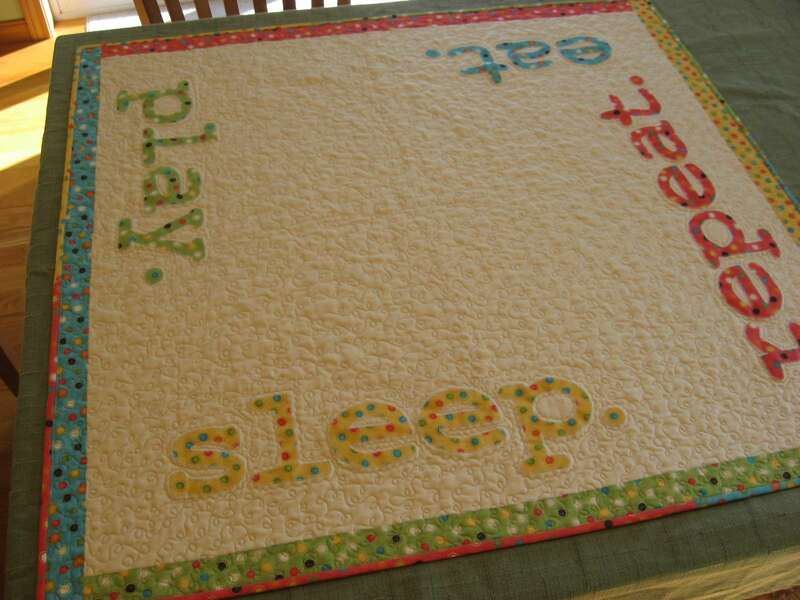 My husband even had a suggestion for this quilt...to replace 'play' with another four letter 'p' word, but I think I'll pass on that! I wouldn't be too surprised if this quilt sees its share of that stuff anyway since I expect it to be used and abused and loved! 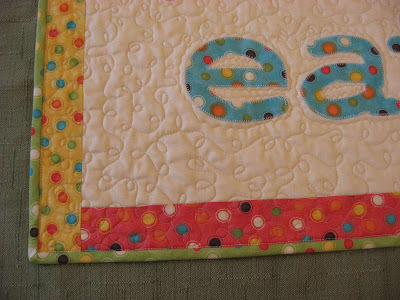 I did a very tight loop meander for the quilting and worked a little zig zag around each of the letters. The backing is just the blue and green dot fabric pieced together since those are the two I had the most of besides the cream. I didn't think the cream would be a good choice for the backing since it would show dirt more easily and it might also allow the color of the words to show through from the front. For the binding, I used each of the four colors on the corners opposite the border strip of the same color. 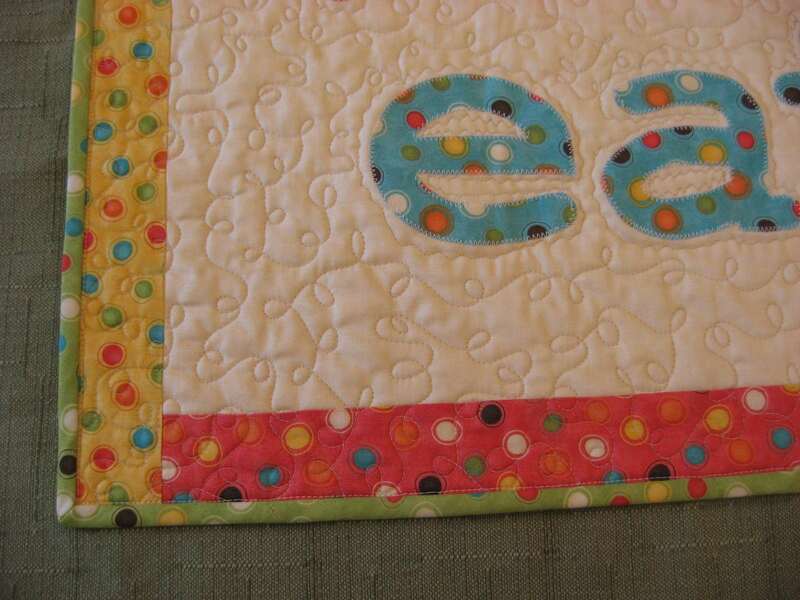 This line of fabric, especially the dots, is so cheerful and fun. Once again Sandy Gervais comes through for me! Have I mentioned before that I'm a big fan of hers? So that's my latest finish in the sewing room. My next project is going to be a quick one. I found a pillowcase kit on my shelf to make Christmas pillow cases, so I'll whip those up for my two little ones to use. Then I have an idea stewing in my brain for something I want to make for my mother and my oldest sister, the nun, and for myself too. If it turns out as awesome in real life as it is in my head, I'll be sure to let you know! Love it...front, back, binding, quilting. What fun. 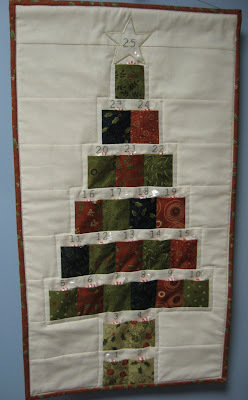 Beautiful quilt - your work is always awesome! I have to laugh at your husband's suggestion for the p word - so funny. I love it! 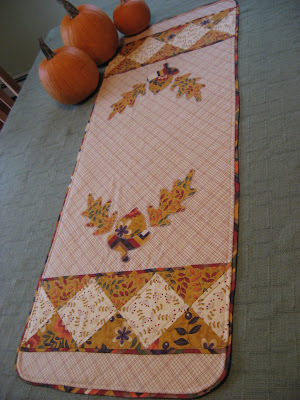 And you did the long arm quilting yourself! I like Hubby's suggestion, but would pass on it as well. Your design mods really worked out well. 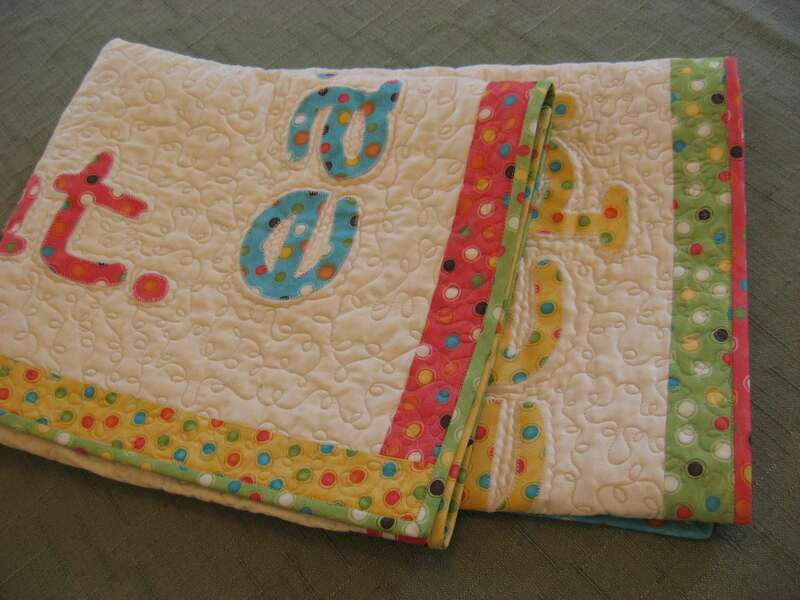 That is one of the cutest quilts I've ever seen ... for real! What a lucky babe! What a wonderful baby quilt. The words are so true. I love how you put the lettering around the outside. Oh my, that quilt is to die for! 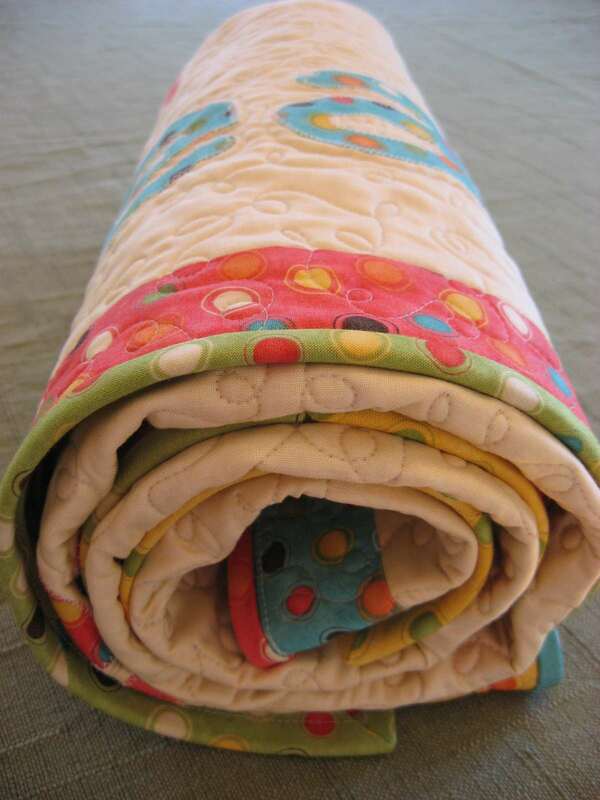 Your little quilt is just beautiful. Husbands are wonderful aren't they! 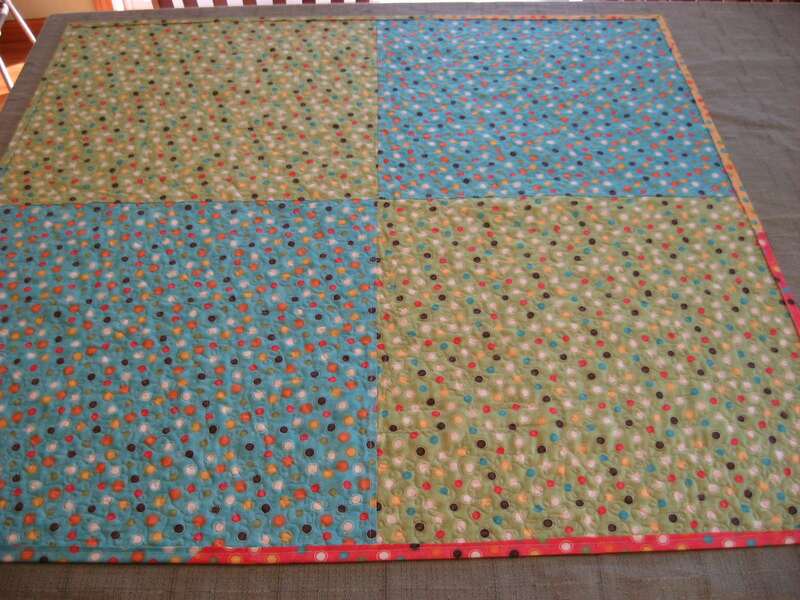 I'm hoping to make this quilt as my first attempt at quilting .... which may be a bit silly, but it's so cute I can't help it. What are the dimensions of your quilt? I like your version better than the one on the moda bake site - would you mind sharing that detail? Or the size of your font? Thanks! Hi Laura, as close as I can remember the finished quilt measured about 36 or 38 inches almost square, but not quite. I do know that one measurement was a bit bigger than the other. It really doesn't matter, just make yours as big as you want. I used the font called Courier New at about 400 point font size and I bolded it to get the thickness of the letters that I wanted. Wow, you're quick, creative and kind! Thanks for helping this novice! I love this version of the quilt. Now I'm going to have to decide between the 2. Ugh. I'm in the thinking stage of making this.....not sure what fabrics yet.